When māori talk about a marae they are actually talking about a place containing a complex of buildings that each māori person affiliates to. It's a place to gather for formal meetings, weddings, funerals, birthdays etc. 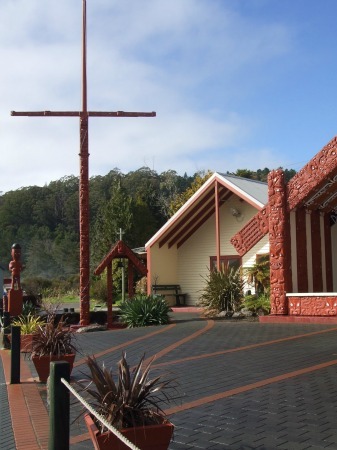 Literally, the word marae is a shortened term for marae atea which is a sacred, spiritual area that is located in front of the main wharenui (large meeting house). 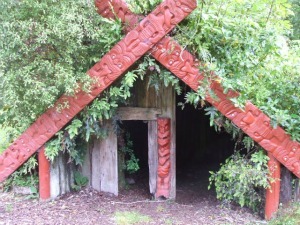 The wharenui is usually named after an important ancestor. Also within the complex there will be a dining building (wharekai), a toilet block (wharepaku) and quite often, a separate building for sleeping (wharemoi) if you're not sleeping in the main wharenui. It's a great place to catch up with all the relations, all the gossip, to teach youngsters about where they have come from and how they fit within the tribe overall. There are many benefits to having a marae to link back to. For me it is mostly that sense of connection; to the ancestors, to history and to the wider family. 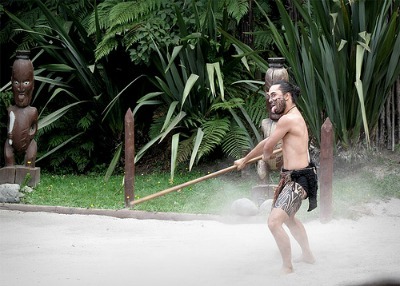 To begin this māori cultural experience, on arrival there is a formal welcome ceremony. This happens for us too when we visit a marae for a particular occasion. 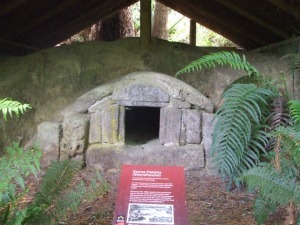 You can expect to learn about the history of the marae and the people of the tribe. You will also learn the protocols and customs that are followed by everyone while on the marae. There will be a chance to get involved in kitchen duties as we do. That's a place where a lot of the gossip happens. Some of the ladies in the kitchens would make really good detectives with their oh so subtle questions. That's how the senior women get the lowdown on the happenings within the tribe, they get to keep their fingers firmly on the pulse. You will see a cultural performance and then mix with the performers as well as perform yourself maybe. There is also the opportunity to try your hand at various tasks like weaving or carving, maybe the poi or haka. Communal sleeping is a big part of being on the marae. Everyone bunks in together so there is usually a lot of whispering, giggles, sniggers, snoring and other unmentionables. That's a bit of an overview of what happens with a marae visit so now it's on to where you can have this experience. 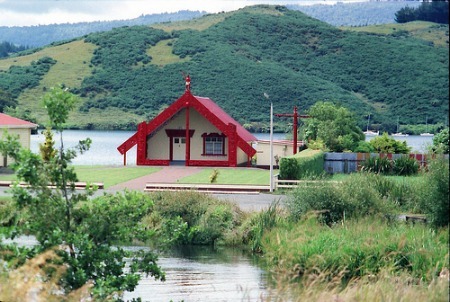 We have a couple of places in Rotorua that offer marae stays. Whakarewarewa or Whaka as we call it, has been around for ever it seems and there is a sense of timelessness about the place. It's like stepping back into the past with a slower pace where you can breathe (not including the sulphur of course). Because the village is situated in the middle of intense thermal activity, and the fact that people have lived there for hundreds of years, a marae stay here would be unlike anything else you could get in New Zealand. Guaranteed. That fact alone separates the Whaka village from everyone else in my view. You will see the village people going about their daily business like leaving the village in the morning to go out to work in the city or elsewhere, others may work in the village itself. 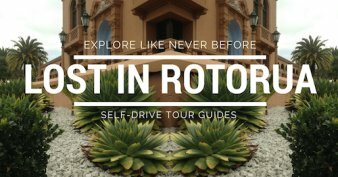 You will see the guides interacting with visitors as they take tours through their village; I just had a little laugh to myself because you will be a villager watching all this while you are there. You won't get the traditional hangi here as the villagers use the pools mostly to cook their meals. Something different isn't it? Website: Click here to view the Whakarewarewa Village website. 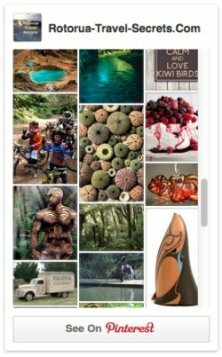 You will land on the marae stay itinerary page from where booking quotes can be requested. The Tamaki Māori Village would have to be the upmarket, contemporary version of a marae stay where small creature comforts are provided for the visitor. It's a very professionally run operation located about 20-30min out of the city. This business was founded by brothers Mike and Doug Tamaki who set out to create an authentic experience for visitors when none was on offer (especially none by māori). 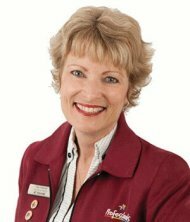 They ran into quite a bit of opposition initially which they overcame and went on to grow a very successful business. It is so successful they are New Zealand's most awarded cultural tourism attraction. Not bad for two little māori boys is it? Here the food is cooked in the ground so it's the normal hangi most people get to try. Yum, love them. Website: Click here to view the Tamaki MāoriVillage website. You will land on the marae stay itinerary page which also gives the current prices and booking facilities. There are also good photos to give you an idea of the type of sleeping arrangements on offer.